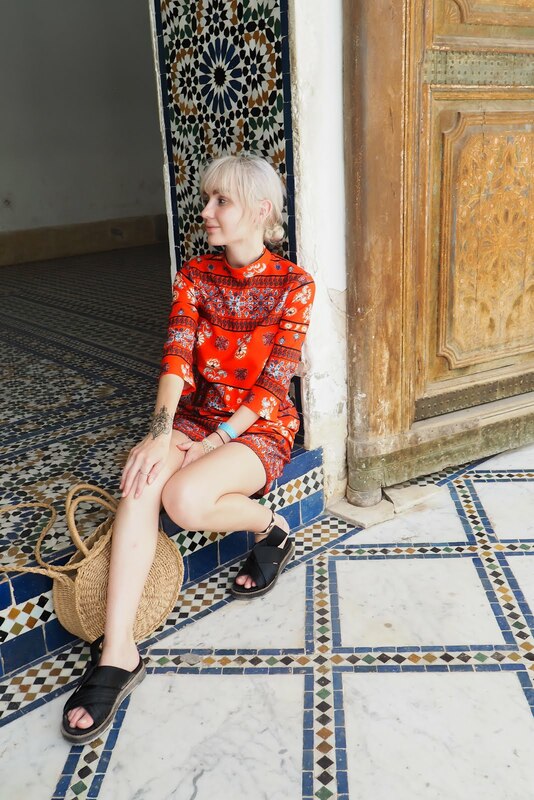 Ah it's that time of year again and although I do love Autumn, what I don't love is the dull overcast which makes taking nice, bright blog photos extremely difficult - warm Autumn sunlight where are you?! Anyway onto the outfit. 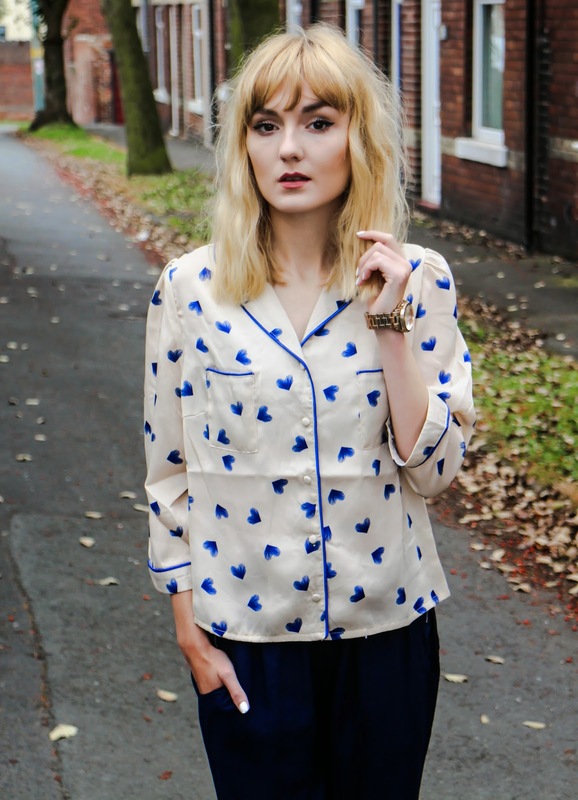 I was kindly sent this pyjama blouse by Poppy Lux and oh my do I love it! It was a great excuse to buy these trousers from Primark (navy is a colour which my wardrobe has a serious lack of and this must change!) and I think it has a lovely laid back yet smart and chic vibe to it whilst also being seriously comfortable. Plus it has an adorable little print which is so unique - I don't think I've seen anything like it! I'd be over the moon if you lovely lot could all vote for me to the "Hit The Books" styling competition for the best "Back To School" outfit! It takes literally half a minute so please make my day and vote for me HERE. You can vote once per day so get voting for me!! Love this, I've just got a pyjama blouse and its super comfy! 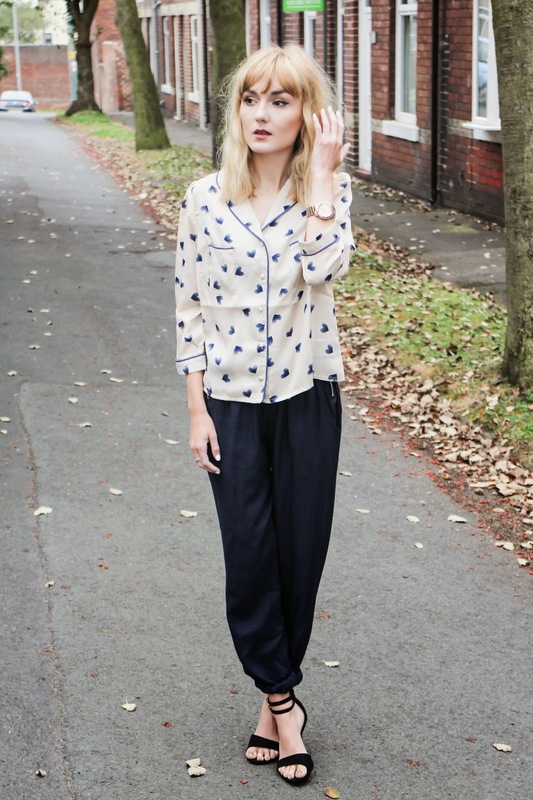 Love the blouse, and it's perfect with the navy trousers. Aw, the heart print is soo cute! Voted for you! Great outfit. 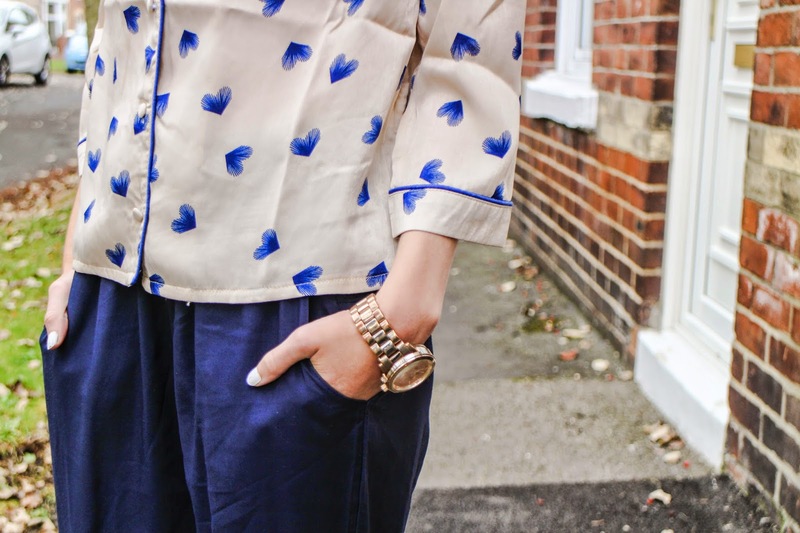 Love the pyjama blouse! You're a stunning girl and I love your makeup, so perfect for autumn. You really pulled off the whole look, just fabulous! The colors in the pictures look so great together, love it! Such a cute top :) You can pull any look off! This is beautiful. Love your top!